Look Sublte to Smoky and Feel Silky Smooth with Jane Iredale Eye Steppes. From soft to sultry, each of the shadows has something different to offer so that you can pull off any look where and when you like. Each compact opens up like a staircase to reveal all five shades and a mirror. 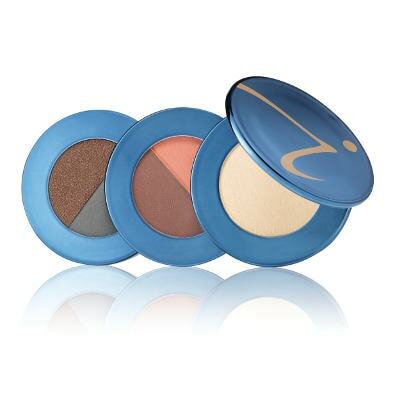 Magnetic closure makes it easy to carry lightweight Jane Iredale Eye Steppes. Apply your darkest color in a sideways V with Jane Iredale Eye Contour Brush. Spritz our eyeliner brush with Jane Iredale D2O, Balance or POMMISST, and pick up shadow for an eyeliner that stays and stays.